This time around, I would like to introduce some nice products for a happy long bath time! 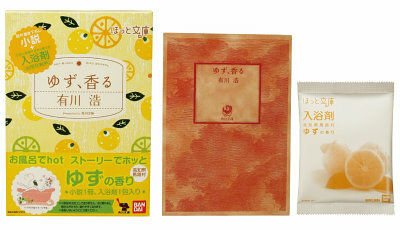 Starting August 3, toy maker Bandai will begin sales of a novel/bath salt combination. Six popular novelists have contributed new short stories, and each aroma and bath salt hue matches the feel of a particular story. These books are only about 30 pages long, so you can easily finish reading one while taking a bath.